At first glance, the Bighorn 700 and 700HD UTVs appear virtually identical: They both offer a streamlined presence with large tires, a sizable engine, and full protection from the elements thanks to a strong roof and an optional windshield. Many customers might not understand the key differences between each model, and they may have a hard time deciding which one is best for their uni que needs. Thankfully, after digging into the differences between the 700 and its HD counterpart, most buyers will be able to figure out exactly which model fits their needs, with the proper power, protection and performance to travel quickly and safely outdoors. Though they’re sold with separate model numbers, the 700 and 700HD UTVs are actually very similar. Both models feature the same engine, the same premium materials, and the same color choices. Before understanding what makes them different, consider what they have in common. First and foremost, an upgraded engine is featured in both models. This slightly larger engine, compared to what is found in the 500 series, offers improved horsepower and overall performance. While Bennche maintains a four-stroke, single-cylinder engine, it’s significantly upgraded in terms of size and overall horsepower. The 686cc engine in both models produces up to 33 horsepower, giving a bit of extra kick to each UTV and helping to compensate for the added heft of both models. Both UTVs in this comparison feature a 7.6-gallon fuel tank, large enough to propel the UTV through many hours of driving and navigating. Electronic fuel injection is standard on both models, with an automatic transmission and electronic power steering that combine for effortless driving in wooded areas. The dry weight, before cargo, is approximately 1,135 pounds for both models. Equipment owners are free to add an exceedingly large amount of cargo to the vehicle using rear storage or optional front accessories, though Bennche does note that these models have a 400-pound maximum weight capacity for any cargo placed in the rear bed. Both models also have a towing capacity of 1,200 pounds. 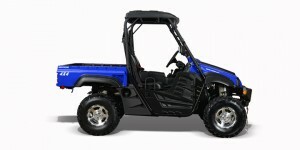 Like other Bennche UTV’s, customers can choose a vehicle in the color that they prefer. Black, white, blue, orange, and two different camo patterns are available for both the 700 and the 700HD. Differences: What Does “HD” Stand for, Anyway? Take note that, as far as Bennche is concern, the “HD” moniker refers to “Heavy Duty.” This is true for each of its models in the HD lineup. To that end, the 700HD comes with a few added features and accessories that make it more powerful and a bit safer in challenging conditions. This includes its metal rooftop storage and a front-mounted basket for extra cargo capacity. The 700HD comes with a full-length windshield that guards against the elements, keeping both occupants safe in the event of rain or snow while in the field. While the 700 model does not come with a full windshield, it does offer the same power and performance under the hood for a slightly lower price. This budget-friendly model is designed to appeal to customers who want the power and performance of a midrange UTV, but without the price of added luxuries and all-weather features. With the availability of some exciting and durable accessories, the 700 model still is just as useful as its more upgraded, heavy-duty counterpart in the 700HD. The power of customization can transform both the 700 and 700HD into a flexible vehicle for towing, storing, and transporting cargo wherever it’s needed. For the 700 model, Bennche offers an optional metal roof with added storage capacity for light cargo. Owners of the Bighorn 700 can also enjoy the convenience of an aftermarket, OEM windshield and even a windshield wiper for rainy days. The 700 model can have its cab fully enclosed as well, giving even more protection from the elements. The 700 HD model can be paired with the metal roof attachment for light cargo as well as an additional front basket for cargo. A front bumper is available to protect the equipment from contact with another object. Bennche also sells a silencer and a front receiver for this model, building on its towing capacity and versatility in all outdoor environments. 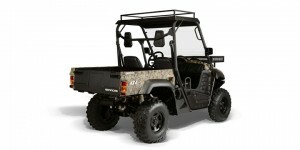 Shank’s Lawn Equipment is a great resource for new or existing Bennche UTV buyers. With its online resources as well as the Shank’s Lawn Equipment in Chambersburg, PA, customers can find a great selection of new UTVs, official Bennche accessories, and replacement parts that will make regular equipment maintenance a breeze. Customers in central Pennsylvania and several neighboring states will find it easy to combine Shank’s online and offline stores for all of their Bennche needs. This entry was posted in Uncategorized and tagged Bennche UTV, OEM Replacement Part, Shanks Lawn Equipment. Bookmark the permalink.